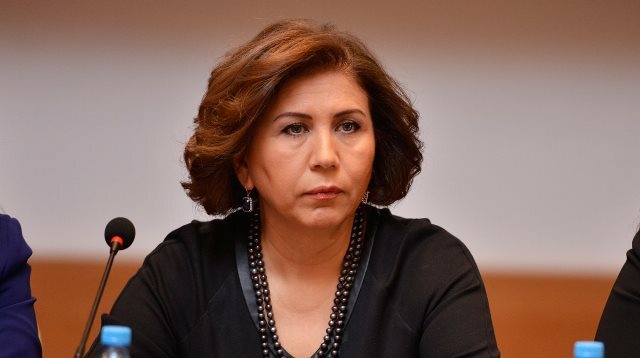 Azerbaijan taking necessary measures to combat human trafficking, Vice-speaker of the Milli Majlis (Parliament) of Azerbaijan Bahar Muradova said May 2 during a joint meeting of the Human Rights Committee and the Committee on Legal Policy and State Building. Muradova said that Azerbaijan fulfills the obligations undertaken in this area, the obligations imposed by international conventions, the requirements arising from the law "On combating trafficking in human beings" and the Criminal code. "The results obtained by Azerbaijan in this area are quite positive. The fight against trafficking in human beings is itself a very important area, as crimes against morality and human dignity are very serious crimes. Of course, all over the world and Azerbaijan, it is very important to implement activities for prevention of this crime, and to implement activities for punishing criminals and eliminating the damage caused to the psyche and morality of the victims," the Vice speaker said.